PeteGearGuide from REVGEAREUROPE on Vimeo. 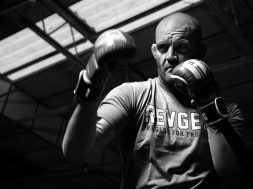 Peter Irving is the MMA, Muay Thai and BJJ coach at Newcastle Fight Centre/Itaipava BJJ. 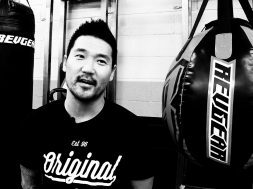 With a wealth of experience competing on the mat, in the ring and in the cage, Pete knows what an aspiring MMA athlete needs at each stage of their career. 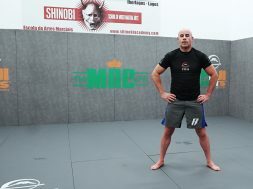 Here is his essential MMA gear guide. On day one, when you first walk into an MMA gym, you won’t need much. The best investment you can make is in a good pair of shorts. The classic MMA board shorts work best, as they have no pockets or zips to get tangled up in. You are going to want to get yourself a gum shield (mouth guard), because even when you are getting started you can clash heads and accidents can happen. Next you are going to want to get a pair of boxing gloves for hitting the mitts and sparring. While you can wear the gloves in a gym, would you wear a pair of socks that 15 other people have gone for a jog in before you? Get the best pair of gloves you can afford. Once you start sparring, you will need some shin pads. Some people prefer the sock style, but personally, I like the Thai-style with more protection. You will also need some amateur-style MMA gloves, not the small pro fighter ones, but the more padded MMA gloves, Even if you became a professional, these are what you will be sparring in. A head guard is a matter of personal preference of gym rules. Once you get more serious, you aren’t going to want to wear out your sparring gloves by hitting the heavy bag. Get a 16oz boxing glove for sparring and a 10oz boxing glove for hitting the pads and bag. If you want to work outside the gym, get a good set of focus mitts and Thai pads.